Bumble Grove is really special. 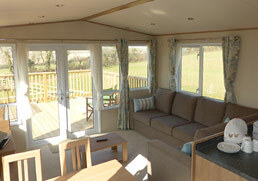 It is a lodge on a smallholding called Barnston in the heart of the South hams in South Devon. 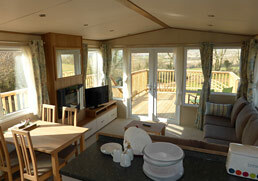 Bumble Grove is a totally private hideaway haven, overlooking peaceful countryside with far reaching views to Dartmoor. The lodge provides spacious and tranquil accommodation in an exceptional place within easy reach of places of interest, spectacular beaches, doorstep walks, historic towns and the wilds of Dartmoor. Bumble Grove sleeps up to 6 people, having a large double bedroom with a WC and basin, a twin bedroom and a foldaway double bed in the lounge area. 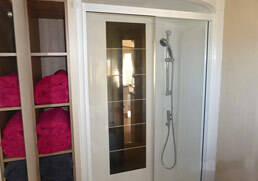 There is a separate shower room with wash basin and WC leading off the hallway to the bedrooms. 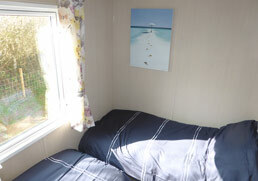 The living area has a well equipped kitchen with gas oven and hob, a fridge-freezer and microwave oven. 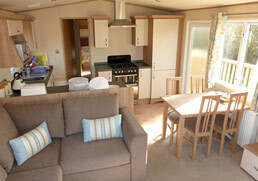 The light and spacious living area has comfortable sofas, feature electric fire and TV with DVD player. Patio doors open onto a large, beautiful, sunny decking area which has patio furniture and is ideal for barbecues, sun-bathing and outdoor living. It really does feel wonderful! Bed-linen, towels, electricity and gas are all included and we provide a welcome pack of a home-made cake, milk, eggs and bread. A travel cot and a high chair area available on request. Well-behaved pets are welcome by arrangement with resident dog, cats, horses, cattle and chickens. There is a dog-proof garden so that you and your dog can both relax but still have some freedom. Beaches from 4.5 miles, Pub 1 mile, local garage shop 3 miles. Shops, restaurants and leisure centre at Kingsbridge 5 miles, Totnes 9 miles, Dartmouth and Salcombe 10 miles.